The other night I headed up to the Hi-Dive to see (what was, of course) a completely fantastic Damien Jurado show. This, I expected. I am never disappointed by his astounding talent. But somehow up until 10:00pm that night I had sidestepped the music of Peter Wolf Crier. By about 10:02pm, I was blindsided by its taut magnificence and colossal, confusing heft. Peter was riveting; he confused me in a sense where a scan of my brain in those moments would have been lighting up all sorts of conflicting colors like a holographic palette, fiery hot and thoroughly happy. With just Peter and his drummer Brian Moen on stage, they looped together these hauntingly tumultuous, soaringly vibrant sonic pictures. Their songs live are completely different than the thoughtful beauty on the album – they breathe fire and become chimera-like mythical beasts, life injected confidently. 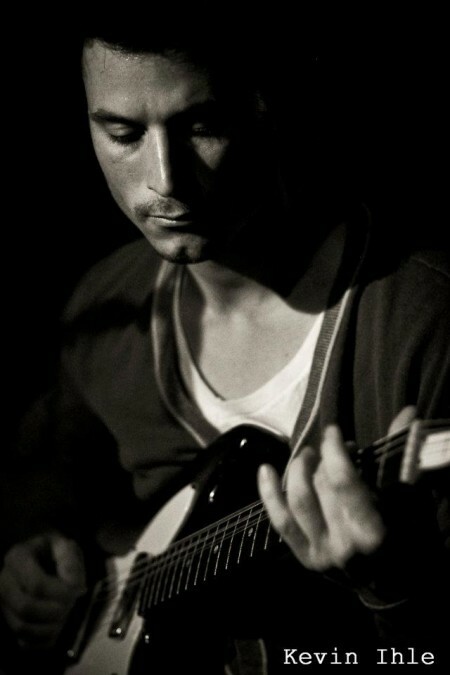 Peter reminded me very much of live videos of my beloved Jeff Buckley. There was a tightly-strung tension and magnificent improvisational quality to Peter’s performance that glued my eyes to him and Brian (brilliant on drums) for the entire performance. This song in particular feels like a struggle, like one of those dreams that you fight to untangle yourself from all night long, but keeps looping and pressing into your head with images of birds and old family home movies and the gravitational pull of the shoreline. 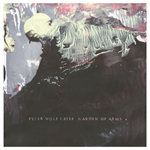 Peter’s second record is Garden of Arms, and it is out now on the fine Jagjaguwar label (Bon Iver, Sharon Van Etten, Cave Singers). Listen to the whole thing over on Bandcamp; and, more importantly, find a way to see him live as soon as possible. Tagged with concerts, peter wolf crier.